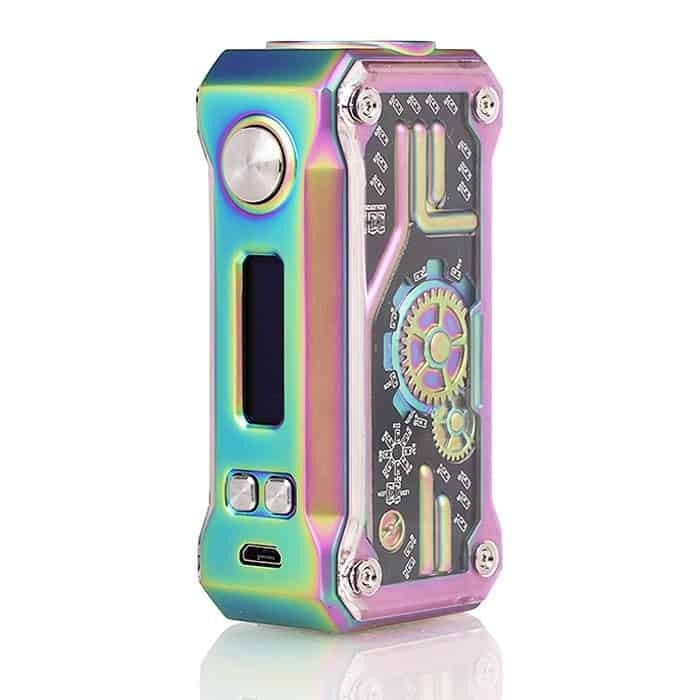 The Tesla Punk Mini 85W TC Box Mod is the compact rendition of the original Tesla Punk, implementing a smaller chassis of the futuristic chassis with visually striking steampunk designs. The Teslacigs Punk Mini 85W integrates a durable zinc alloy frame in a vintage steampunk design with transparent glass for a striking impression. The device is equipped with RGB LED lights that works in conjunction with the onboard chip to evoke a modern vaping experience. The Punk 85W is bottom-loaded, featuring a sliding battery door for convenient access of the single 18650 battery (sold separately). The chipset is capable of firing up to 85W with full temperature control, TCR adjustments, and custom Taste Modes such as Soft, Normal, and Hard. Don’t own one, my neighbor has one, great design. Feels good in your hands, versatile and comfortable to carry around.